Now available in your choice of red, blue or amber lights. 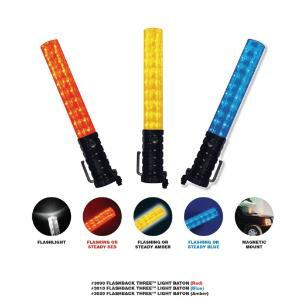 The 20 LED bulbs in each baton can be seen for up to 1 mile and can last up to approximately 90 hours on 3-AA batteries. 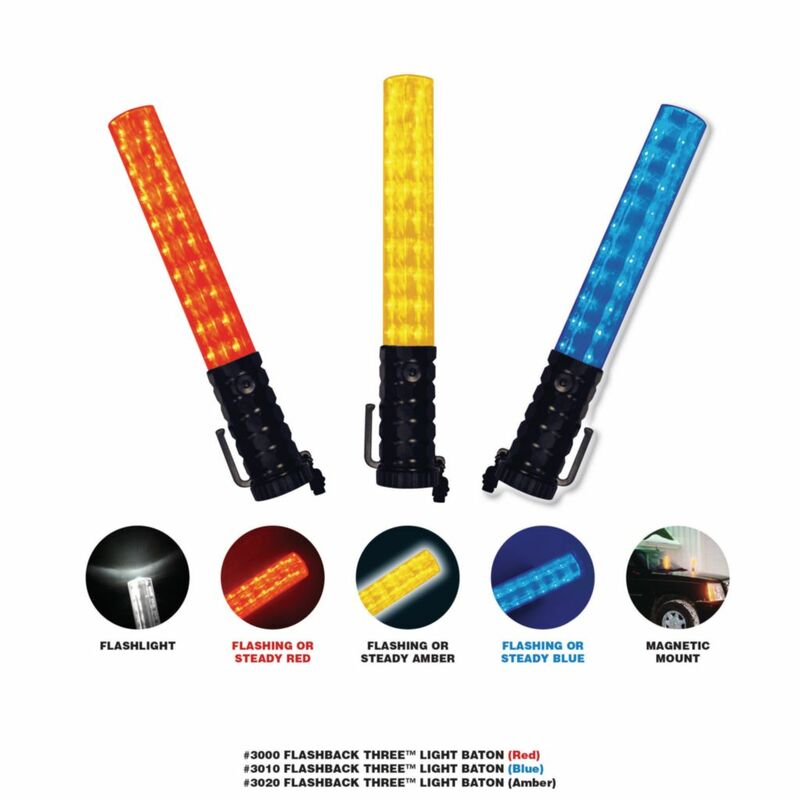 The Flashback Three™ can be used as a signal light, warning light (with its built in magnetic tailcap) or a dash/deck light. Its weather resistant body is made of high impact ABS plastic and also has a non-slip textured grip with a built-in belt clip and wrist strap. Ideal for all Police, EMS, Fire and 1st Responder personnel.